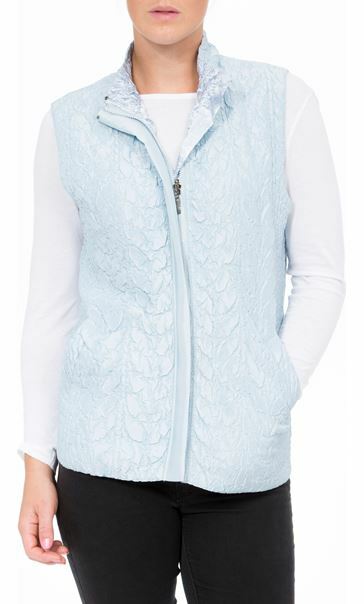 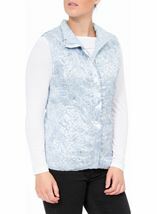 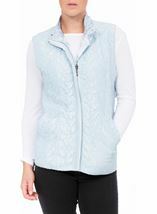 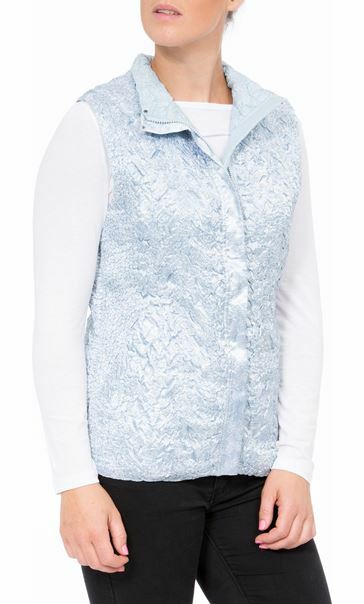 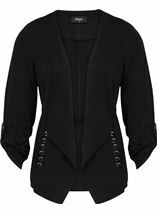 This stylish Anna Rose gilet is a staple layering piece for your wardrobe. 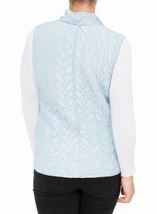 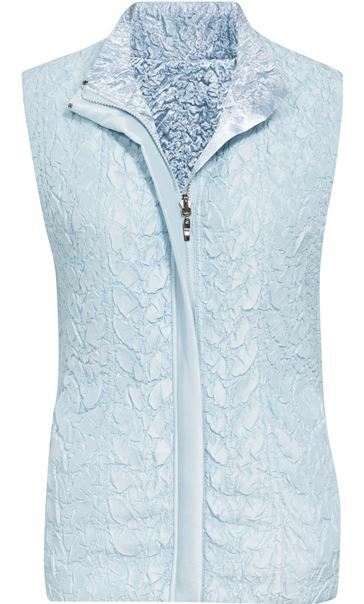 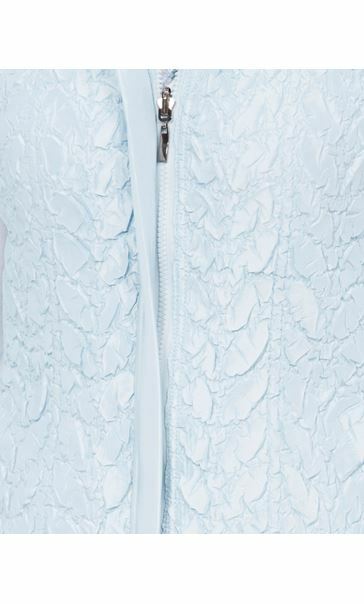 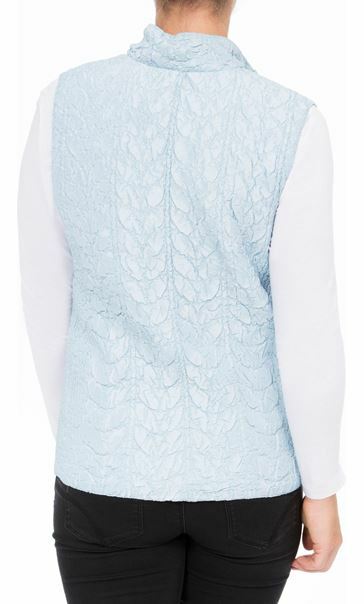 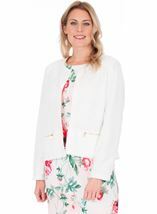 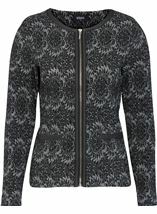 Crafted in a soft blue textured fabric with printed inner that is reversible so you get two looks in one. 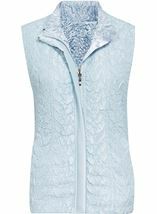 Designed with zip fastening and front pockets, a must have for your wardrobe this season for an effortless stylish casual look, wear over your favourite jumper and jeans. 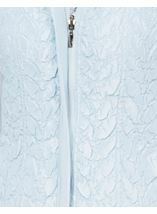 Back length 60cms.